Exercise at Work: Is it Really Good For You? In this month’s blog we look at the physical activity paradox; why physical activity at work does not result in the cardiovascular health benefits that leisure time physical activity does. Here on the coast of Tasmania we have a large part of the work force who work physically active jobs. It is common for people to state that they do not have to exercise as they believe they get enough exercise at work. Unfortunately for those people, a recent paper (see below for the link) has outlined 6 reasons why work physical activity could be detrimental to health and why you still need to perform physical activity/exercise away from work – for your health. Improvement of cardiorespiratory fitness requires an intensity of >60%–80% of maximal aerobic capacity for short periods of time. Sustaining a low to average intensity (30-35% maximal aerobic capacity) for the typical 8hr work day exceeds recommended levels and may actually impair cardiovascular health. Heart rate is elevated during work physical activity and remains elevated after. Prolonged elevated heart rate is an independent risk factor for cardiovascular disease. Blood pressure is instantaneously elevated during manual material handling and prolonged static working postures. Prolonged exposure to static work physical activity may result in sustained elevated blood pressure even after working hours. Sustained elevated blood pressure is a risk factor for cardiovascular disease. Leisure physical activity involving heavy lifting normally only occurs for short periods of time, under controlled conditions which doesn’t increase 24-hour blood pressure. Long periods of physical activity without sufficient recovery (e.g. long weekly working hours, extreme endurance training) can cause fatigue and exhaustion and may increase cardiovascular disease risk. In the sporting world this would be called over training. Work can require being physically active for 7-12 hours/day for several consecutive days with limited rest periods during and between work days. Leisure physical activity can be performed under safe self-regulated conditions whereas there is usually limited control at work. 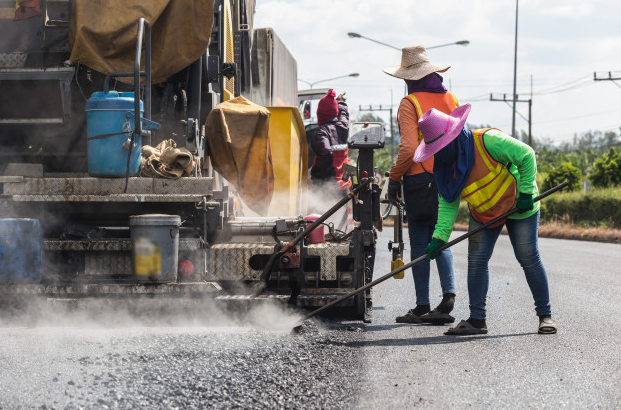 The limited control over work tasks, speed, schedule, protective clothing, psychosocial stressors and the surrounding environment may contribute to detrimental effects of work physical activity. Markers of inflammation (e.g. C reactive protein) increase during physical activity and remain elevated until the body has recovered. 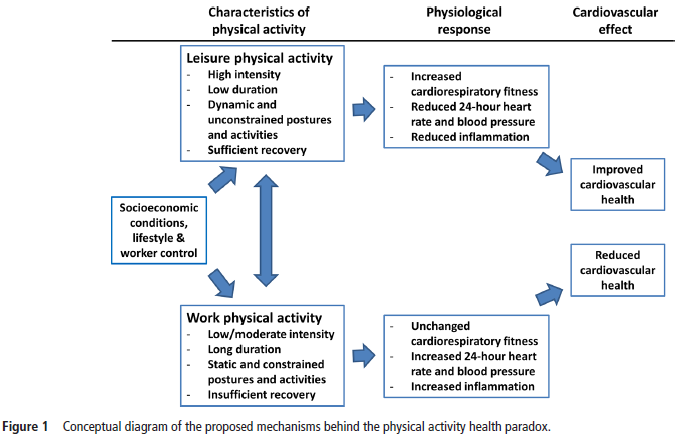 High work physical activity over long time periods and consecutive days without sufficient recovery time can cause sustained inflammation which may be a risk factor for atherosclerosis and other cardiovascular diseases. 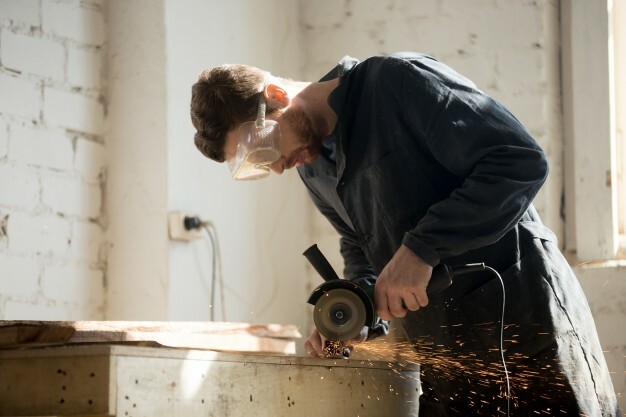 The increased risks from high work physical activity are more pronounced in workers with low job resources, low cardiorespiratory fitness or pre-existing atherosclerosis, high blood pressure and coronary heart disease. If you need help with your exercise program or getting started, see one of our Exercise Physiologists at our Burnie clinic – for an appointment call us on 64314586.